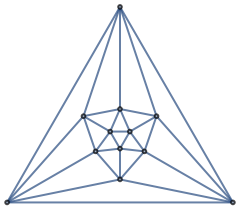 gives coordinates of the vertices of the graph g.
gives coordinates of the vertices of the graph g using the embedding "emb". gives coordinates in dimension dim of the vertices of the graph g using the embedding "emb". The settings for the embedding "emb" are the same as in GraphLayout.